Last week was pretty exciting... and BUSY! I have been spending all my free time on putting the books together. 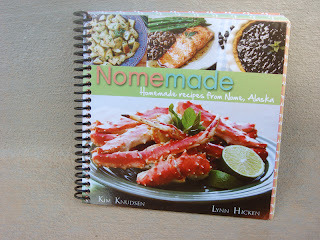 I thought you might enjoy seeing the process and love that goes into making Nomemade. First, we ordered all the pages from a large printing company. 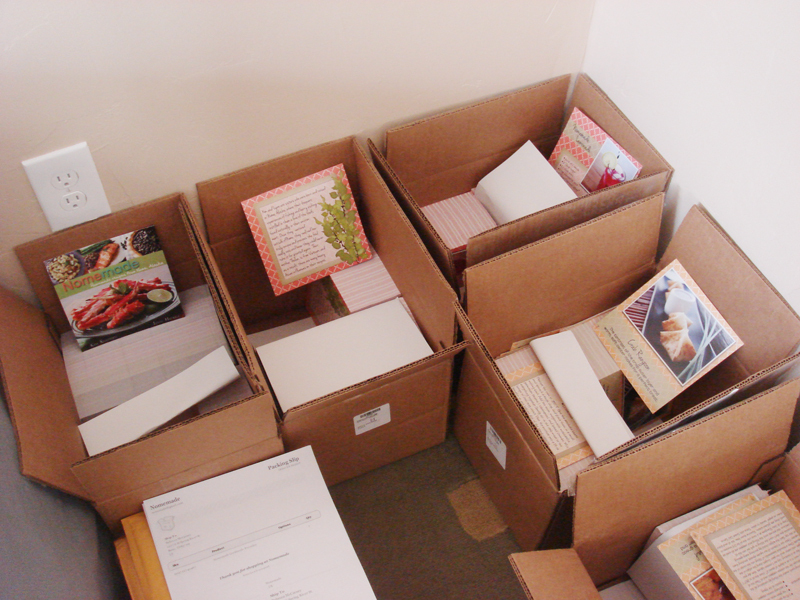 They sent me a thousand copies of each page in their own boxes. 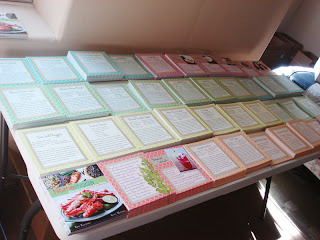 Next, I stack a bundle of the pages onto a table so that I can see all of them in order. I pick up one page from each stack to make a single book. I organize them into these boxes and use post-it notes to separate them. 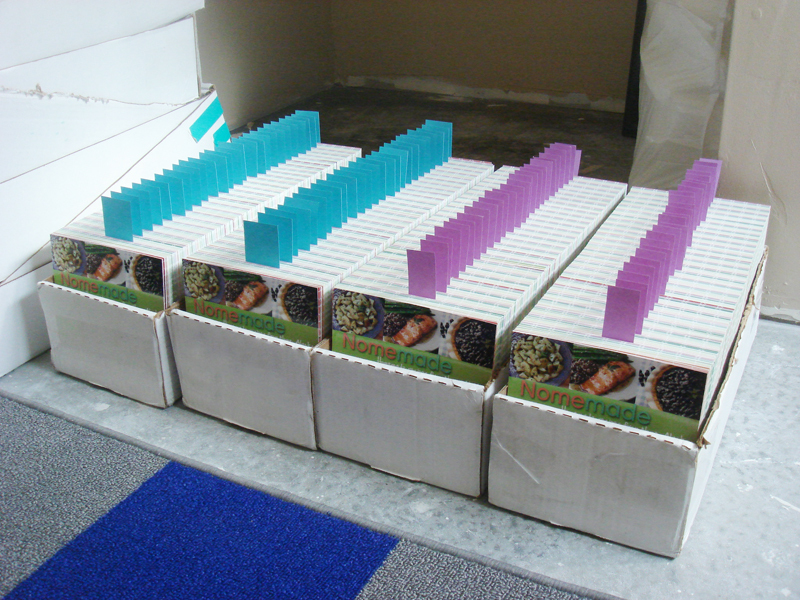 Then I take the boxes to a local company, ImagePro, and they bind the books for me. I pick up the books from them and this is the final product. 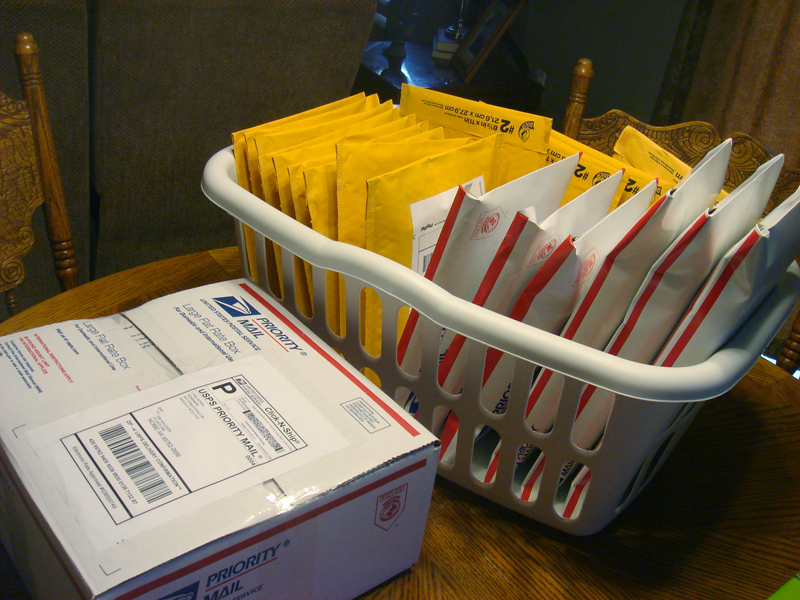 Then I package them up and send them out to the people who have ordered them (a HUGE thank you to everyone who has been supporting us!). This was the last batch of packages that I sent out last week. I'm not nearly finished with sorting all the books and getting them bound but I will keep working on it! For the people in Nome, AK, Kim will be getting a few boxes of books that she can sell locally if you'd like to purchase from her. For the people in Cedar City, UT, you can purchase from me or you can even find them now at Sunshine Nutrition- the very FIRST store to carry our books! Again, thank you so much to everyone who has been supporting us with this project! Thanks Lynn... we've received the first two boxes today, unfortunately my copy wasn't in the first two boxes.